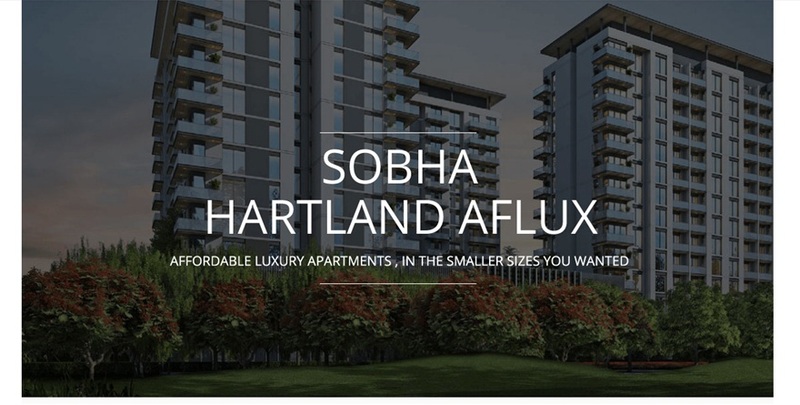 Sobha Hartland Aflux Apartments are located in MBR city, Dubai. It is a L-shaped building with 12 floors with 1 and 2 bhk apartments and studios. The flats are small but attached with all type of modern facilities like restaurants, clubs, hotels, shopping centers, mosques and cafes. Hartland Aflux studios has small area starting from 468 sqft onwards and 1 bhk begins from 597 sqft to 700 sqft as well as 2 bhk flats has an area of 1,251 sqft. The grocery stores and other services are available to close from the building. Almost all the facilities like gymnasium, jogging park, swimming pool, kid play area, waterfall, restaurants and cafes - A clean and healthy atmosphere for the residents.